John Peacock. 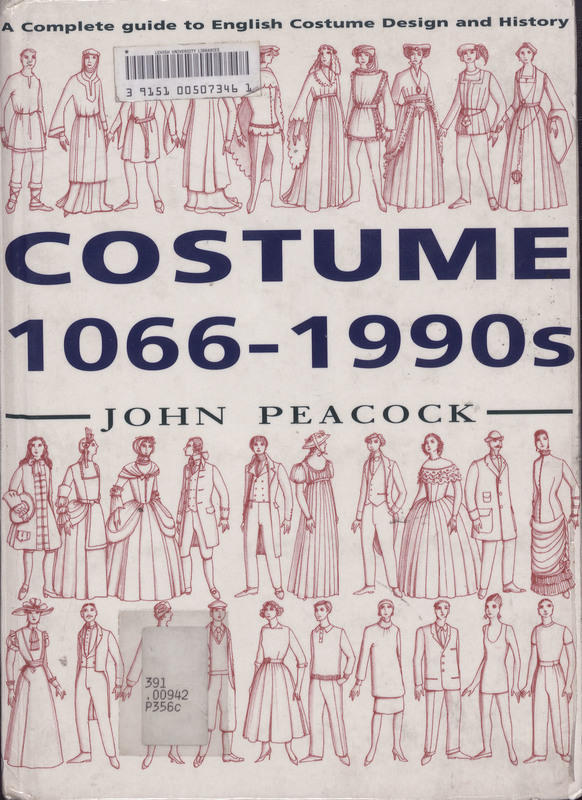 Costume, 1066-1990s. New York: Thames and Hudson, 1994. 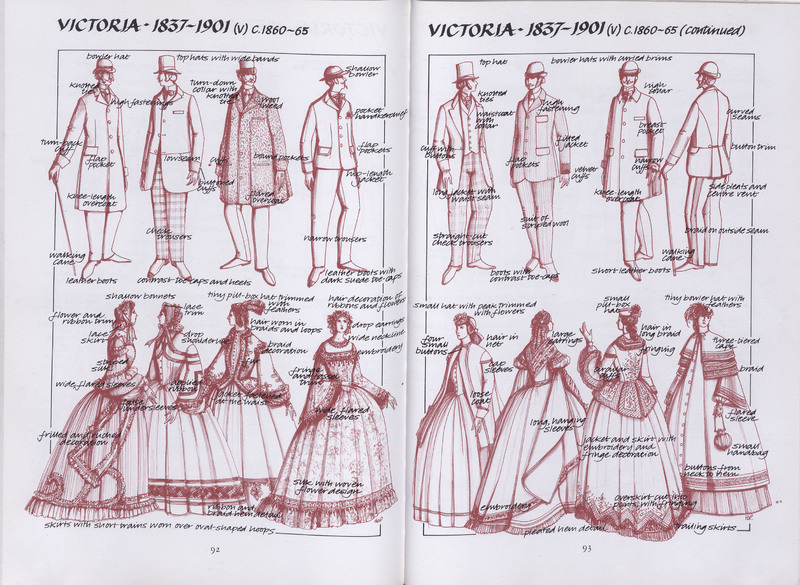 This pictorial overview shows men’s and women’s dress in England, detailing hairstyles, fashion, and footwear.